(2016/Jasmine) 32 Tracks - Teen Rock, 1956-1961! 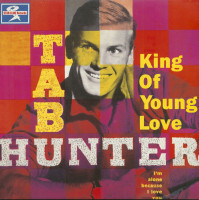 In terms of pure singing ability, Tab Hunter was never a threat to a Presley or an Orbison. But what Tab had in abundance was his own brand of angular. rather Scandinavian good looks — which set him well apart from the predominantly latin•looking young teen idols of the day. Starting life on 11th July. 1932. with the name of Arthur Andrew Kelm, he later took on the surname of Gehen (his mother's maiden name). By fifteen he had run away from home. He signed up for a two-year spell in the US Coast Guard. having lied about his age. After signing out, he developed championship ability as an ice skater and skilled horse jumper. He was unable to put these unreleated and unusual skills to work for him. He took on a number of odd Jobs. including one in a sheet metal factory — where he was discovered by a talent scout and taken to an agent. Harry Wilson. who suggested he change his name to the more Hollywood-style Tab Hunter. Tab's blond good looks helped him find a lot of film work after his first screen test in 1948. He appeared in a wide variety of movies. Not surprisingly. these included quite a few westerns. such as 'Gun Belt', 'Hostile Guns', 'Judge Roy Bean' and probably his best 'They Carne to Cordura', as the reluctant young hero, with Gary Cooper. Other major movies included 'Damn Yankees', 'The Pleasure of his Company' and 'Birds Do It'. His looks and talent made him a natural teen idol — one who would look just right on a fifties record cover. As a recording artist. 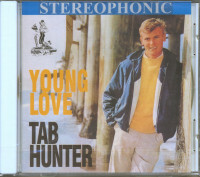 Tab got off to a flying start with a number one million seller for his first disc. This of course. was 'Young Love' a song written in 1956 by rockabilly/country artist Ric Cartey (whose 'Scratchin' On My Screen' is a rockabilly classic) — along with Carol Joyner. Sonny Jarnes had already recorded 'Young Love' and it would also prove a million seller for him. but never to hit No.1. Billy Vaughn known for his own saxophone-based hits like 'Sail Along Silvry Moon-'and his successful cover of Bill Justis' 'Raunchy' was the staff arranger at Dot Records. Billy helped Tab work out his own version of 'Young Love' and it was released in January 1957. Dot was a major label with good distribution and 'Young Love' became a number one hit in next to no time. It stayed on top in the USA for six weeks, with a total of 21 weeks in the best seller list. In Britain, it topped the charts for seven weeks, with 18 weeks among the best sellers. The Sonny James version would eventually sell more — over two million copies — but only made it to No.. 2 in the USA and No.11 in Britain. The flipside, 'Red Sails in the Sunset' also got enough airplay to register as a minor hit. In April 1957, Tab had another big hit, 'Ninety Nine Ways' (reputedly a Guy Mitchell number), with 'Don't Get Around Much Anymore' on the flipside. By 1958, Tab's recording activities for Dot were curtailed by Warner Bros in terms of their contract. They also wanted him to sing on their own newiey formed label. Tab's Warner Bros hits included 'Jealous Heart' (October 1958), 'Apple Blossom Time' (January 1959) and 'There's No Fool Like a Young Fool' (May 1959). He also recorded his best known album for Warner Bros, having also recorded one for Dot. Both are strongly priced collector's items today. Following the lead set by his first Warner Bros hit, 'Jealous Heart' - an old country classic - Tab recorded an album of country hits. Standout tracks included Hank Williams' 'Hey Good Lookin', 'Invitation to the Blues' plus a Marty Robbins tune. 'Black Coat' in which you can hear how much Marty influenced Tab's delivery. Tab sang these songs Ina clear, no-nonsense style, making up for occasional lapses in melody with his boundles enthusiasm and youthful personality. His fans certainly found no fault with his versions of these country greats, as the album proved to be a strong seller. The sessions took place in Hollywood, but the company flew in some of the leading pickers from Nashville. including Grady Martin, pedal steel player Billy Byrd and pianist Freddy Haynes. The songs were put down in traditional Music City style, without formal arrangements, but based on the ability of the players to work spontaneously together. interpreting the lyrics according to his own personality and style. Tab's relationship with Warner Bros wasn't so rosy — in fact he was unhappy enough with the company to buy back his contract - for the not enconsiderable sum of $ 100.000 - back when a dollar was worth a dollar. 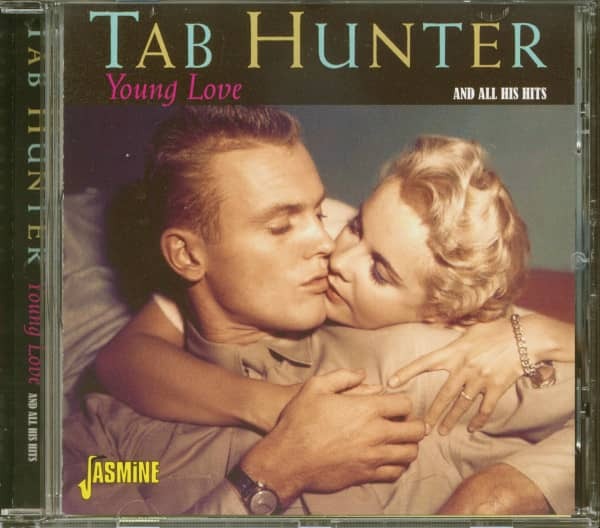 Tab would move on to other things, including his own TV series 'The Tab Hunter Show' in 1960 and 1961. The show's potential for major league success was limited somewhat by being placed against 'The Ed Sullivan Show - one of the top rating programs of all time. Tab experienced mixed fortunes in the years to follow. The Hollywood establishment had virtually turned its back on him so he went to Europe where he made a variety of films. He was to resume a successful TV career in 1977, appearing in many episodes of the series 'Forever Fernwood'. In 1981 he starred in the film 'Polyester' and sang the title track. Chris Stein from Blondie scored the whole movie and Debbie Harry wrote the lyrics - as well as singing Tab's backup vocals. He was certainly back in good company. In 1982 Tab played a teacher In the movie 'Grease 2'. 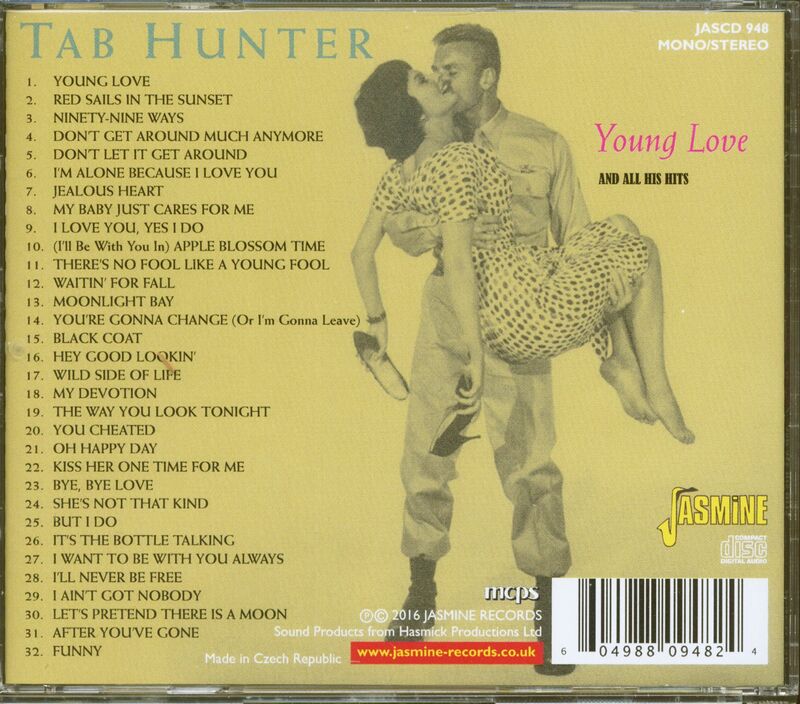 Customer evaluation for "Young Love - And All His Hits (CD)"